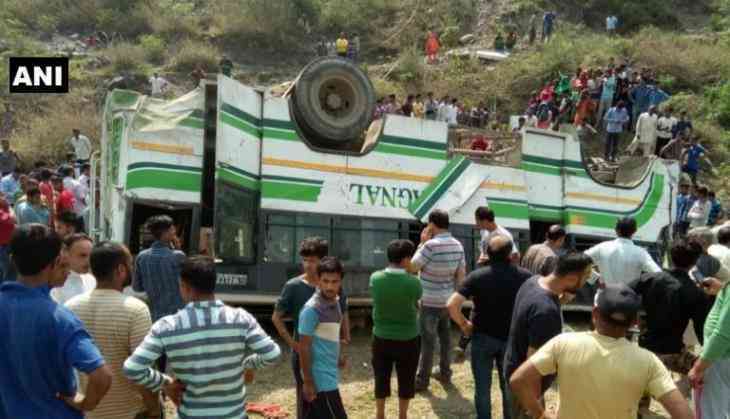 Nine devotees were killed and 12 injured when a speeding dumper rammed into a group of pilgrims on a trek to the Purnagiri Temple in neighbouring Champawat district early today, an official said. The pilgrims hailing from Bareilly in Uttar Pradesh were on way to the Purnagiri Temple on foot when they were knocked down by the dumper at around 5 AM at Bichai, SDM, Tanakpur, Anil Chanyal said. Four of the injured are in a serious condition, he said. "Those seriously injured have been referred to Khatima hospital while the rest of the injured are being treated at Tanakpur Hospital, " the SDM said. The deceased were identified as Vir Singh (18), Sonu (8), Vishal (17,) Ram Kumar (16), Deendayal (35), Babu (12), Kesher Singh (16), Ramswaroop (40) and Sohan (40), all residents of Baheri in Bareilly district of UP, he said. The devotees were coming to the hilltop temple barefoot from their home as a gesture of gratitude to the goddess for fulfilling their wishes. A search has been launched to nab the driver of the dumper who fled the spot. The dumper is registered in Khatima.